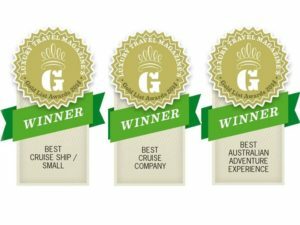 North Star Cruises Australia and the True North have once again been chosen as the best Australian Adventure Experience, Best Cruise Ship (Small) and Best Cruise Company at this year’s Luxury Travel Magazine Gold List Awards. 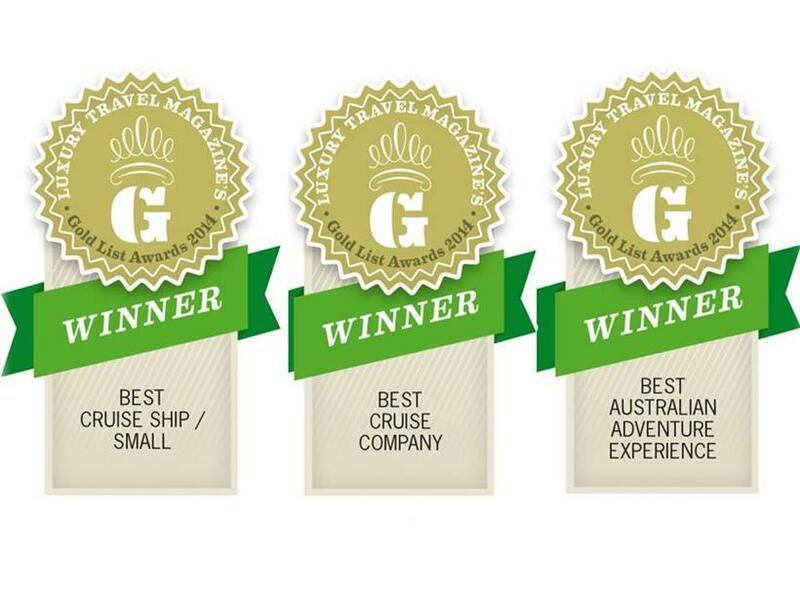 That makes back to back wins in three categories, another unprecedented achievement! 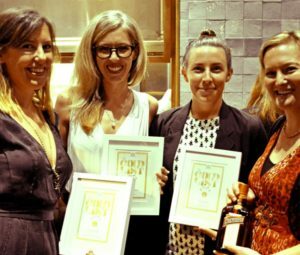 North Star’s business development manager, Charity Turner, accepted the awards at a recent cocktail event in Sydney. Pictured from left to right: Lucy Jones (Editor, Luxury Travel Magazine), Charity Turner BDM (North Star Cruises Australia), Phoebe Cox (Office of Environment & Heritage) & Merissa Borg (Publisher, Luxury Travel Magazine).